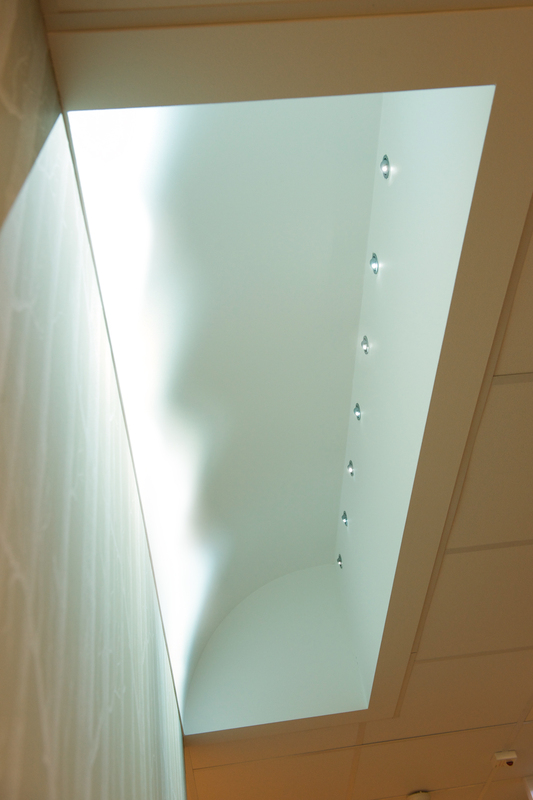 Used in this clever way, the Parans light forms an architectural feature that provides dynamic light to any room. 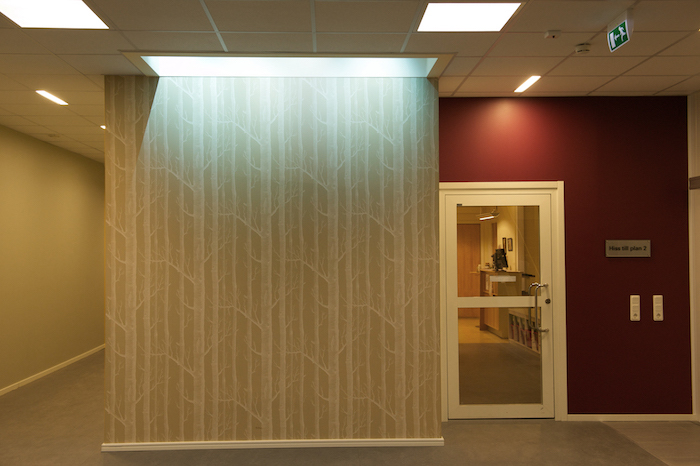 The waiting room in a care centre in Kungsbacka, Sweden, had a very typical flat layout with little dynamism. The architect therefore wanted to bring more daylight into the room but it lacked access to both the roof and exterior walls. The architect decided to create a light shaft, but since the room has no direct connection to an exterior wall or the roof, Parans systems were the only way this could be achieved. Small L3 Spotlights* were integrated into an architectural shape built into the ceiling, which creates the impression of a light shaft. It is a strong contrast to the standard fluorescent light sources that are normally used in office buildings and homes. They give out flat colours in contrast to the bright full spectrum from sunlight. Natural sunlight plays a crucial role in keeping our minds alert and our bodies in balance.